Are you looking for information about the cons of homeschooling? Home education has advantages and disadvantages for both parents and students. Children who are homeschooled do not spend as much time with friends as those who attend school, and they may may feel insecure about being different than their peers. Homeschooled students may also have more difficulty participating in music, choir, P.E., sports, art and other traditional programs that are easily accessible at school. The good news is, many of the social challenges of home education can be overcome through participation in support groups and other homeschool activities. In addition, both the social and academic benefits of homeschooling can far outweigh the disadvantages of teaching children at home. For more information about the cons of homeschooling, read part 2 of this article, Homeschooling Cons - A Parent's Perspective. The following article contains information about teaching reluctant students. We've always been up front with our children when they've asked questions about public school. They know their friends go to school down the street and participate in some fun activities. They also know their friends are often sitting in desks while we're eating breakfast, taking nature walks, snuggled up with a good book, or out on field trips. Have an honest talk with your child about his or her options. Discuss the pros and cons of homeschooling and the pros and cons of public school. If your child doesn't want to homeschool, but you and your spouse have decided public school is not an option, let your child know you will find other ways to address his concerns. Listen to your child's concerns. Your child may want a new backpack, a lunch box or a ride on a school bus - all of which can be accomplished without attending school. If your child is lonely, look for homeschooling support. If your child wants to learn in a classroom, consider joining a weekly homeschool co-op. Find creative ways to meet your child's needs without sending him or her to public school. 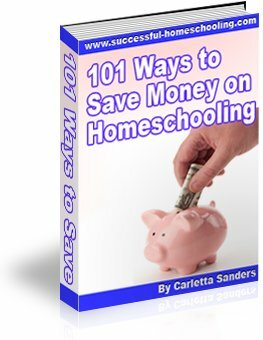 find a new homeschooling method? You may also want to cut back on outside activities in order to turn your child's heart toward home. The book, Hold on to Your Kids by Gordon Neufeld and Gabor Mate, has some great suggestions for restoring relationships between parents and children. Set up a mock school at home. Wake your child up at 6:30 AM, rush him through breakfast, and make him stand in the cold to wait on the bus. Bring him inside, sit him at a desk and lecture on various topics for 20-30 minutes longer than it takes him to understand the subject. Make him raise his hand before speaking and wait to go to the restroom. Give him 20 minutes to eat, and don't allow any talking. Let him stretch his legs for 20 minutes, then return to his desk until 3:30. If that doesn't help, assign homework. If you are open to having other adults teach your child, evaluate other schooling options. Consider allowing your child to take classes at a community college or university model school. You can also make arrangements to let your child observe a public or private school classroom. If you decide to send your child to school away from home, have him or her commit to stay for an agreed upon time period, such as 6 weeks, a semester or a full year. For more information about the pros and cons and homeschooling, read Homeschooling Pros and Cons.